A total solar eclipse is a sight to behold: for a few glorious minutes, day turns to night, stars twinkle in the midday sky, and the sun's corona shines from behind the black disk of our moon. But mere civilians don't get anywhere as hyped as scientists when this rare event comes around. That's because it's a singular opportunity for them to study the sun, the moon, and our own planet in ways that are usually impossible. The reason why a total solar eclipse is so drool-inducing for astronomers, atmospheric researchers, and other scientists really comes down to the power of the sun. It's so bright that its relatively faint atmosphere is hard for researchers to study, and it radiation is so powerful that it affects the way radio signals and other communications systems travel during daytime hours. By briefly blocking the sun, an eclipse gives scientists a way to study all of the things that would be too weak or time-consuming to study with the sun out in full force. Of course, there are also things to discover about the eclipse itself: what does the Earth look like during a total eclipse? How can we better predict where and when the next eclipse will occur? Animals freak out during eclipses — what's that about? 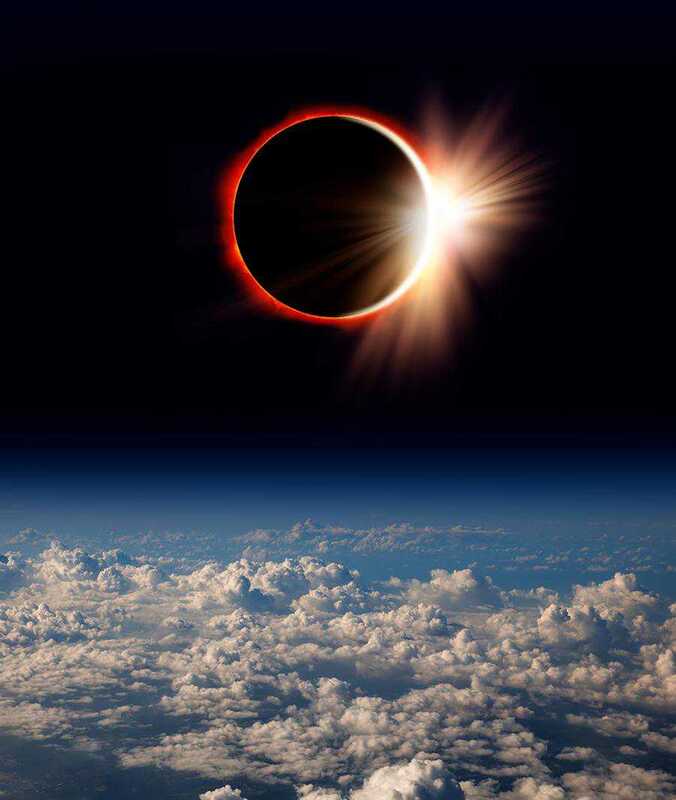 To take advantage of the total solar eclipse on August 21, 2017, scientists are doing everything from releasing balloons into the sky to chasing the shadow down in an Air Force jet. Get a load of just some of the experiments headed our way. Did you know the sun has its own atmosphere? It's called the corona, and it makes up a pretty major part of our home star. It plays a big role in space weather, like solar flares and coronal mass ejections, both of which can harm electronics here on Earth. Unfortunately, because the sun shines so brightly, it's difficult to see. Scientists sometimes examine it with something called a coronagraph, which uses a disk to block out the sun and create an artificial eclipse, but the resulting image isn't as clear as the one you'd get from the real thing. Here are some of the ways scientists are planning to make big discoveries about the sun on the big day. Although you hardly ever hear about the ionosphere, you experience its effects every time you listen to a radio or use GPS. It's a region of the Earth's atmosphere starting 30 miles (50 km) up where solar and cosmic radiation strips electrons from atoms in a process called ionization. Ionized particles are electrically charged, and those charged particles help radio waves bounce across this layer to travel further than they would ordinarily. But signals don't always travel through the ionosphere the way you'd expect, and by studying this important region in experiments like the ones below, scientists can begin to figure out why. The Earth And The Sun And The Moon, Oh My! Sometimes, it's fun to study eclipses for eclipses' sake. At this point, we know a good deal about them, but they're still rare enough to retain some mystery. Plus, every new eclipse is an opportunity to use the latest imaging technology and capture ever-sharper pictures. This time around, scientists are creating some truly Instagram-worthy shots.